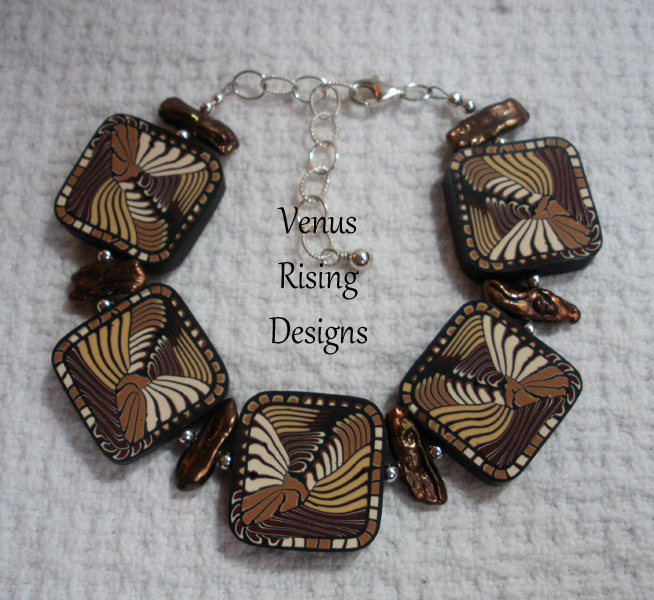 I love the sharp contrast in colors - chocolate, mocha, latte, black - in this bracelet. The polymer clay beads are carefully crafted with different colors and layers, so the pattern is not painted on but goes through the beads. The deep brown, iridescent Biwa pearls add an interesting texture and contrast. Sterling silver beads, clasp and chain. Adjustable; fits wrists 7-1/4" to 9-1/2". Contact me if you need a different size or want the chain shortened.